The library will be closed on the following days during this holiday season. Make sure and have plenty of reading and viewing materials to get you through these long weekends! 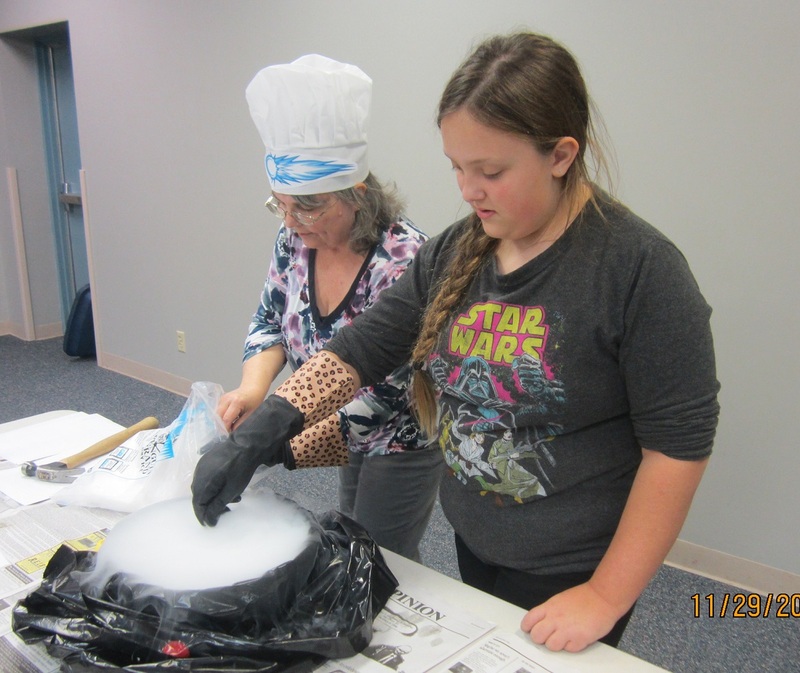 what’s going on at Meade Public Library. 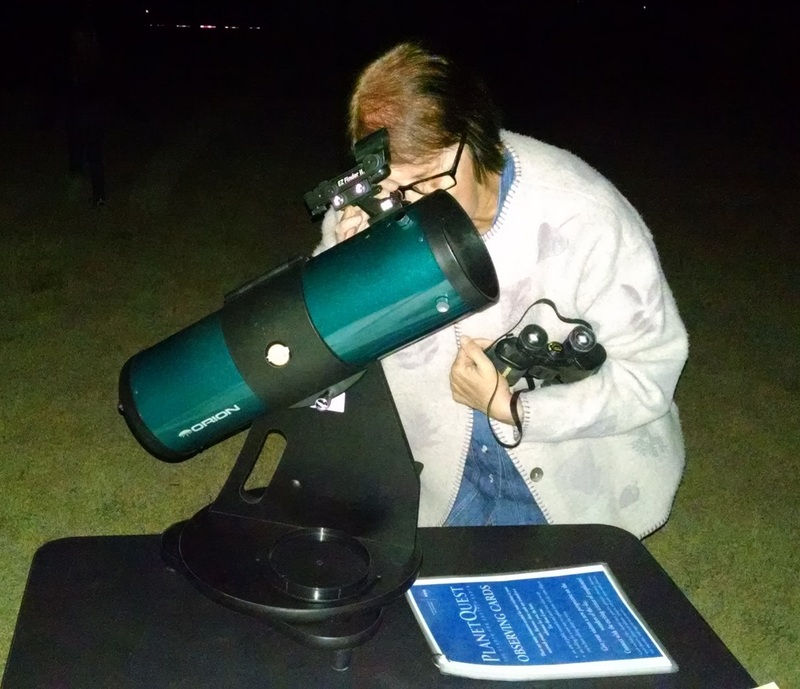 Cheryle Shelton takes a look at the super moon through one of the telescopes available at “Stargazing with Steve Andrews” at the Meade Golf Course. 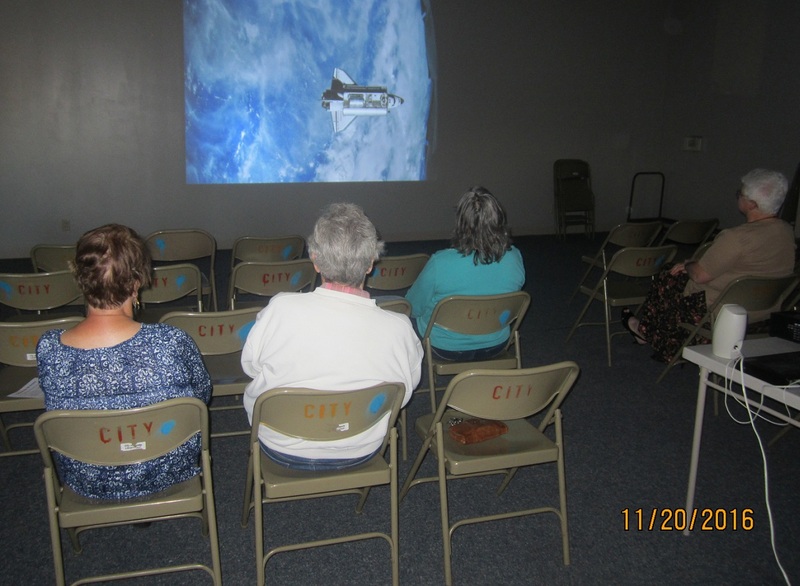 The documentary “Journey to Space” told us about the future of space travel. 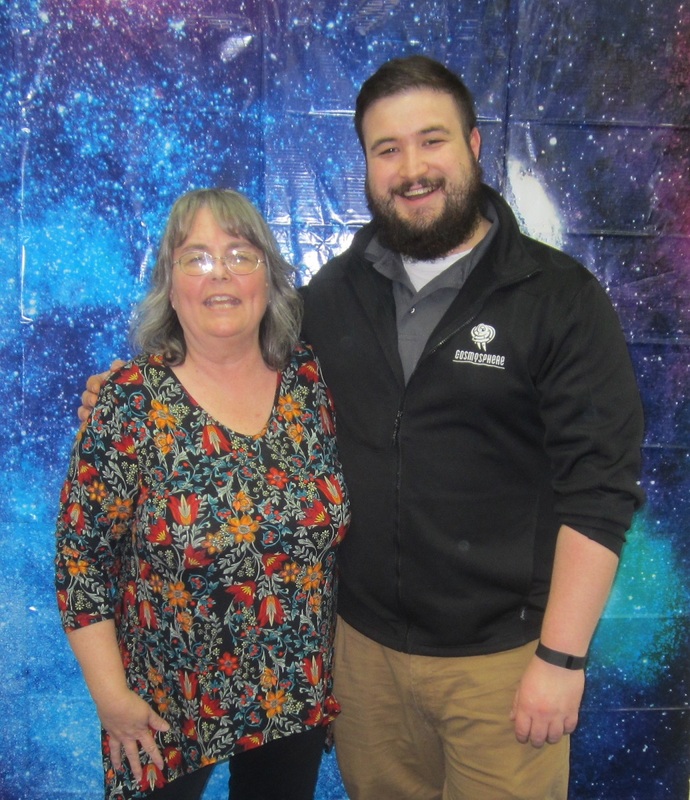 “Living in Space” presented by the Kansas Cosmosphere representative Chuck McClary–shown here with our director. The library will be closing on November 24, 25 and 26 (Thursday, Friday, Saturday) for the Thanksgiving Holiday. We will open the Explore Space exhibit on Saturday, the 26th, from 9:00 to 12:00. No other library services will be available on that day. We will be open at the regular time on Monday. We hope you have a very nice Thanksgiving Holiday. 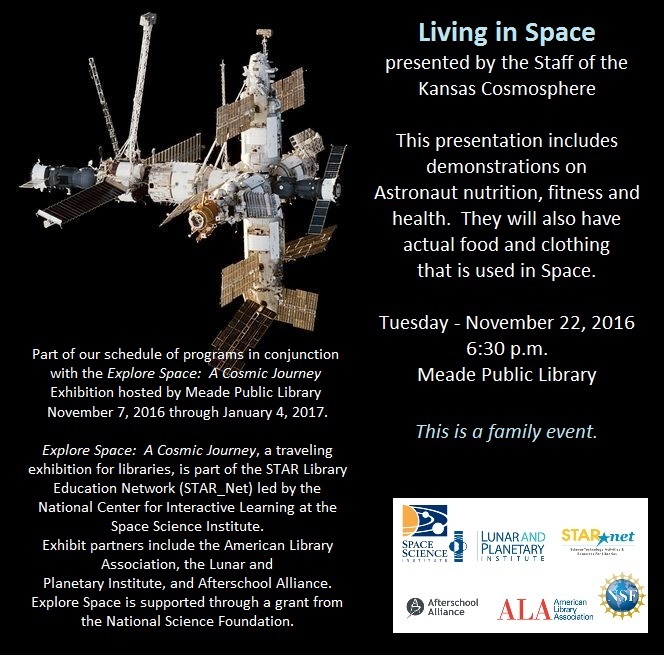 Join us for this exciting film: Journey to Space on Sunday afternoon, November 20, 2016 at 2:00 p.m. at the Meade Library Community Room. The film (previously shown in IMAX theaters) is 45 minutes long. Click on the picture. It will enlarge and tell you more about this documentary. There is also a web address listed where you can find out more about it. 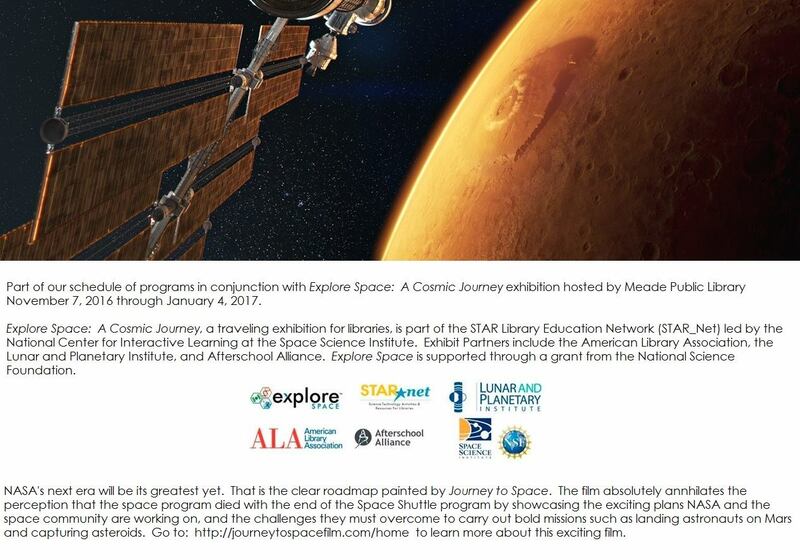 We invite you to come into the library to see “Explore Space: A Cosmic Journey” now on display in the Emily Pinnick Room and other activities throughout the library space. 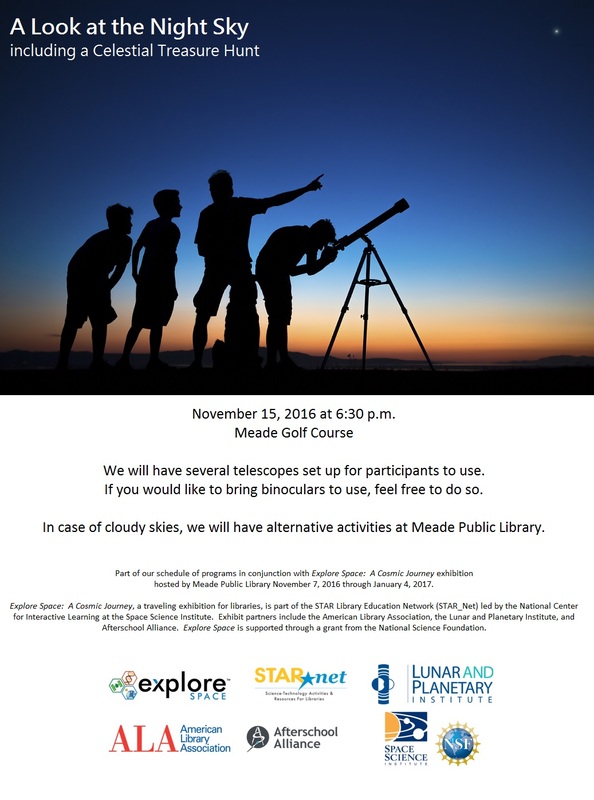 We will be hosting “A Look at the Night Sky” on Tuesday, November 15, at 6:30 p.m. at Meade Golf Course. 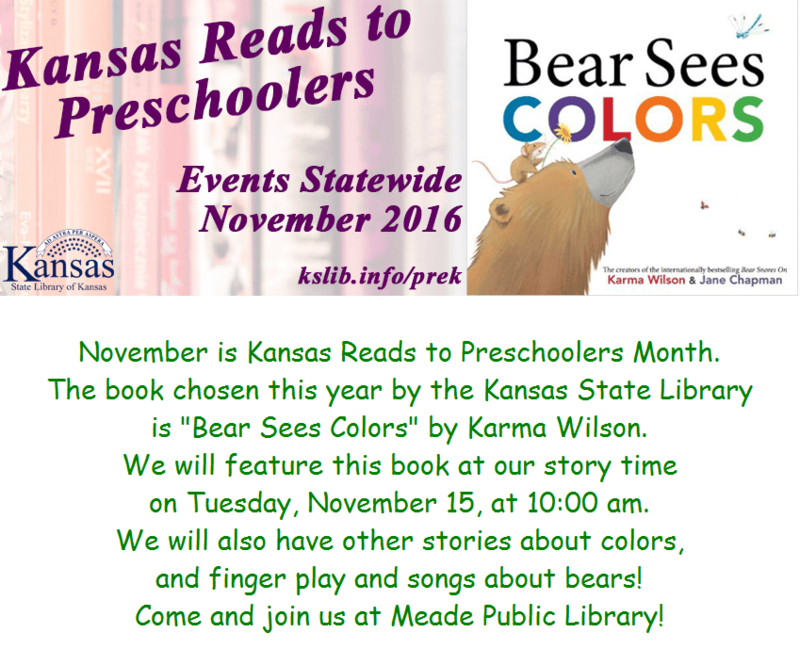 Pre-School Story Time will be on Tuesday morning at 10:00 a.m. “Color” is the theme of the day as we celebrate Kansas Reads to Pre-Schoolers and the book “Bear Sees Colors” by Karma Wilson. Click on either photo below to enlarge it and find out more about the events going on at the library this week. The “Explore Space: A Cosmic Journey” exhibit is now open. Our official ribbon cutting ceremony was on Saturday evening, November 5. 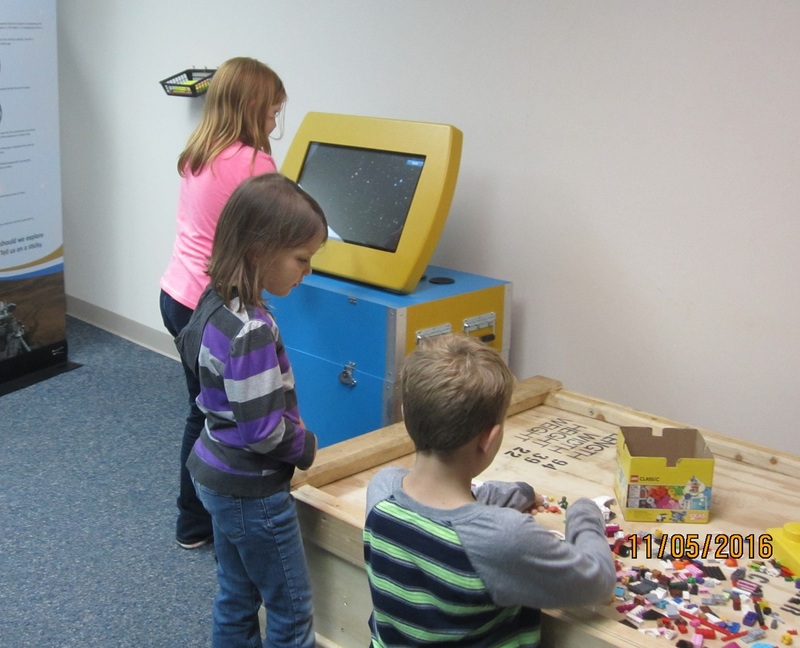 Check back to our “Explore Space” page before you visit. We will be hosting different schools throughout the time the exhibit is here, and you might choose to come when things are a little more quiet! We will post when these groups will be visiting. Following are a few pictures from our Open House on Saturday. More pictures will soon be posted on Facebook too. Cheryle Shelton and Audrey Flowers getting the room ready for the display. 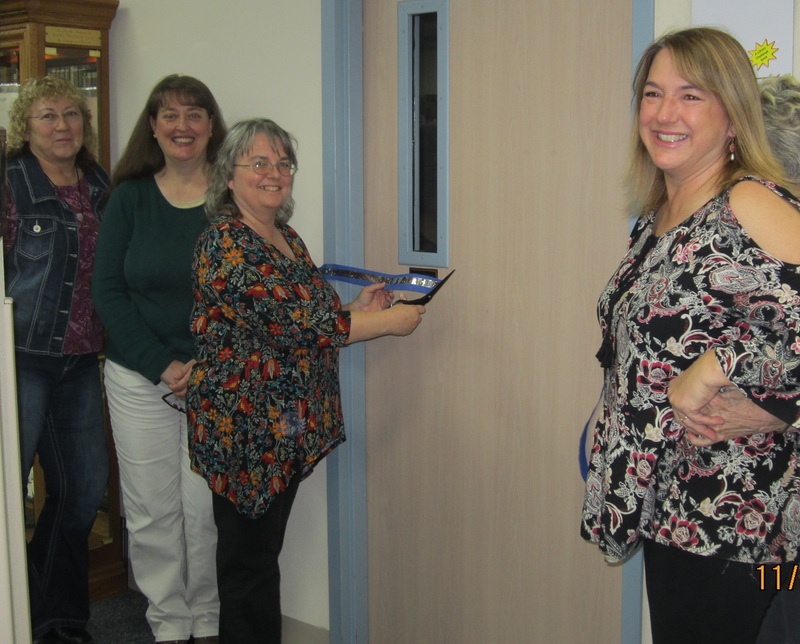 L-R: Board Member Crys Ackerman and Staff Members Janette Friesen, Audrey Flowers and Gerri Reimer cut the ribbon to open the display. 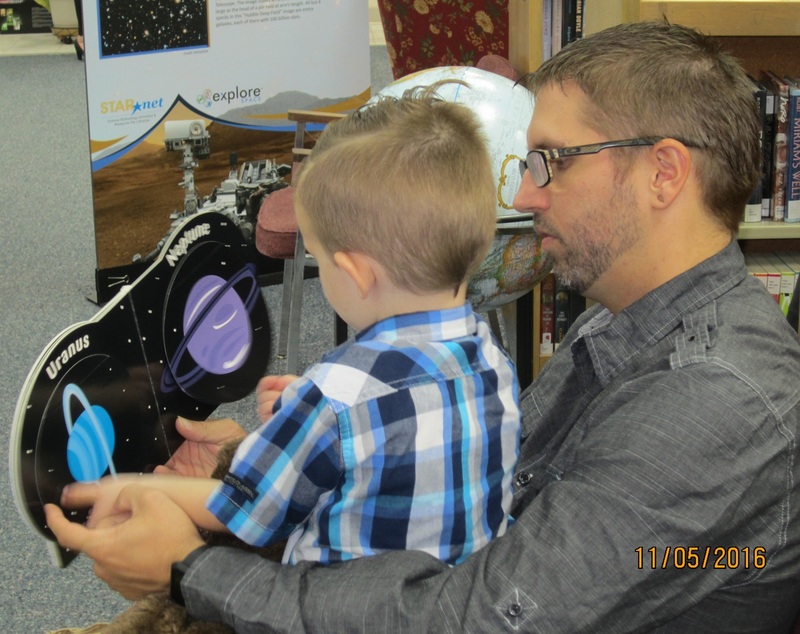 Nick Ball and his son Elliott enjoy one of the “Space” books on display. Nick is the husband of SWKLS Staff Member Savannah Ball. Aveta and Ryker V. build with the “Space Legos” while their cousin explores planets on the computer. Story Time is on Tuesday, November 1 at 10:00 a.m. Friendship is the theme for the day, and Miss Gerri will have some great stories and activities for the little ones that tell about Friends and doing things together. The Holiday Harvest of Books will be going on through November 3. We hope you’ll consider purchasing a book in honor of or in memory of a loved one. 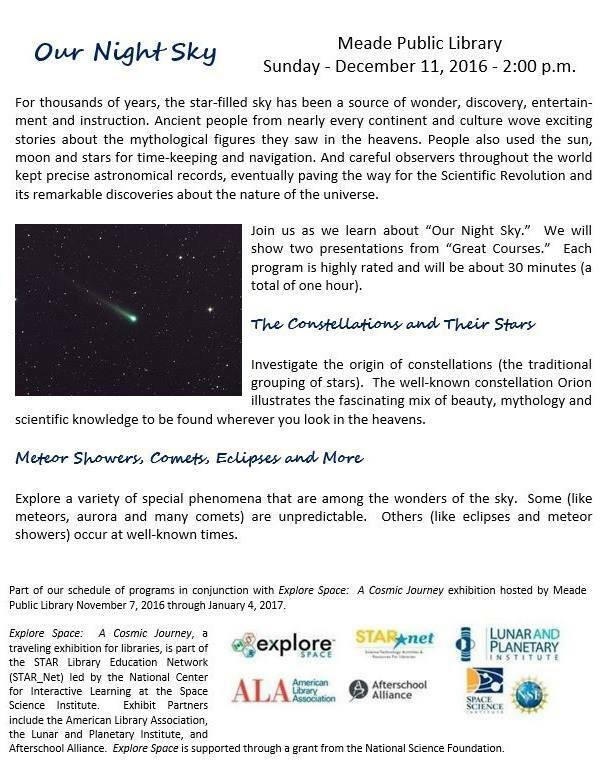 Starting next week will be the “Explore Space: A Cosmic Journey” exhibit that will be here through the month of December. We’re very excited about all of the activities that are planned. We look forward to visits from area-wide schools as well as those from our hometown. Stop by and take a look. The Holiday Harvest of Books continues throughout the month of October. We still have a great selection of books to choose from. 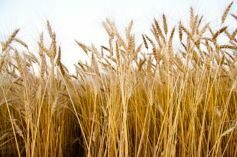 Read the October 2 post to find out more about the Holiday Harvest. 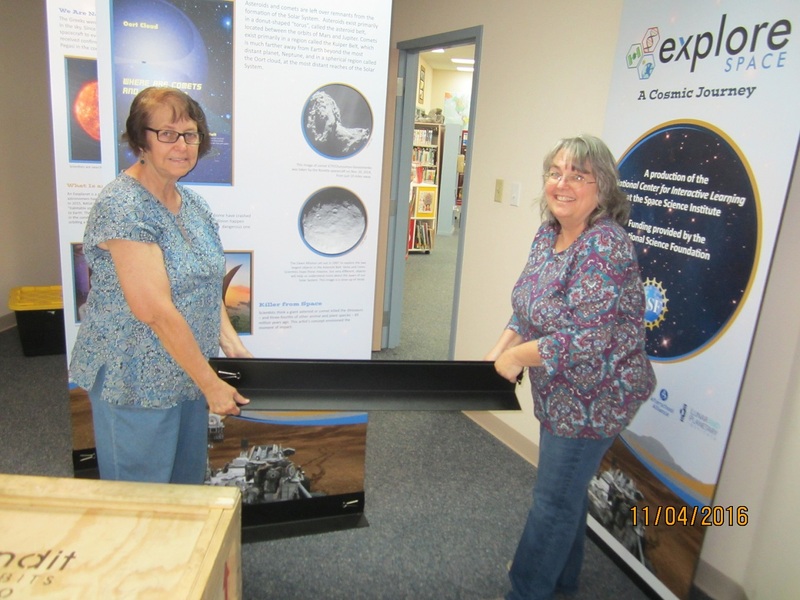 We are getting ready for the Explore Space exhibit which will be hosted by our library during the months of November and December. Some exciting programs will be presented throughout this time, and we encourage you to take a look by clicking on the “Explore Space” button above. Meade Public Library is very excited to be presenting this exhibit. Fourteen libraries nationwide were selected for this program. Being the smallest library on the tour, we feel privileged to have been chosen.